An 18-year-old from Jacksonville, Florida, is in custody after beating his 69-year-old grandmother to death. A witness heard Dylan Broughman and his grandmother, Joyce Courson, loudly arguing after Courson confiscated her grandson's beer while he was showering, according to News4Jax. The witness reported hearing a few bangs and Courson screaming for help. Broughman left the house and the witness entered and found Courson lying on the floor critically injured. 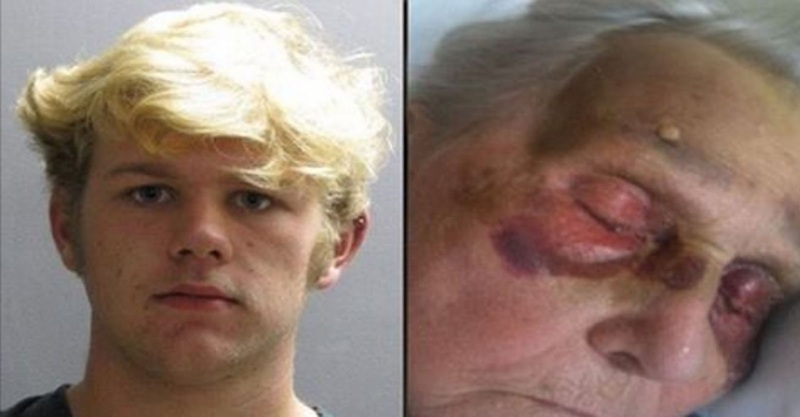 The elderly woman was still conscious and when authorities arrived said that her grandson punched her in the face and held her on the ground while kicking her. Broughman was initially charged with aggravated battery on Oct. 10, However, that was increased to murder after Courson died from her injuries eight days later. Broughman's mother, Tracey, says that her son is not responsible for Courson's death, according CBS-affiliate Action News Jax. "He didn’t actually kill her, her heart stopped," she explained. "That’s what cause her death, we took her off life support." Tracey admits that her son is prone to violent streaks and struggles with anger management. "Even though he was drinking the day of the incident, he has some severe anger issues," she said. "It rarely comes out but when it comes, it just comes." Broughman's paternal grandmother, Evelyn Stepka, tells Action News Jax that the teenager takes after his mother, who has been arrested more than 20 times for counts of drug abuse and prostitution. In an odd twist, Tracey herself was also arrested for violence against Courson earlier this year. Police reports show that she was charged with aggravated battery after beating her mother following an argument. The charges were later dropped by Courson herself. "When you have a crackhead mother coming and going, being arrested every month -- how do they expect this kid to grow up normal?" Stepka asks Action News Jax. Broughman will have his first court appearance Nov. 23. He is currently held without bond.